Want to feel proud of your car? Or looking to make it look showroom ready for sale? 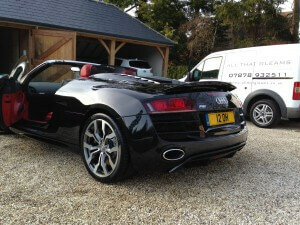 Restore shine and value in your car with our professional exterior car valet in Surrey. All exterior surfaces are thoroughly cleaned, polished and protected for the perfect finish! 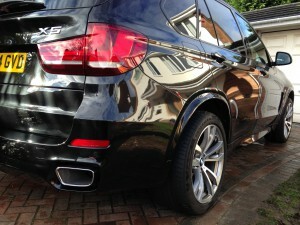 Gives Bodywork, Wheels & Glass A Showroom Shine! We Can Come To You; Mobile Services Available! Ideal To Keep Your Car Looking Like New! Utmost Care Taken To Revive Shine To Your Vehicles Exterior! Our professional exterior car valet is carried out with professional quality products & care to ensure you receive a great service and a lasting shine for your car, all in the convenience of your own home. Your car will be valeted by our professionally trained car care technicians using world class products from Autoglym to give a class-leading showroom finish to all exterior surfaces. Our proven process ensures that your car exterior is systematically cleaned for an even better clean and more thorough valet, in turn lasting longer with better results. All of our products are designed with ultimate care in mind to ensure your car is only valeted with the right tools in the right way, to minimise swirl marks and prevent any chance of damaging your car. You will get all of this carried out whilst in the comfort of your own home with our purpose built mobile valeting units that have all the equipment, products and premium chemicals needed to give your cars exterior a showroom shine. Book Your Exterior Car Valet In Surrey Today! Our exterior valet will give your car a great finish but some cars may need extra work to be able to restore an as-new finish. Removes overspray, fallout & most other contaminants that make the paint feel rough and result in it looking dull. Makes paint feel smooth as glass! Highly recommended for all cars, gives more shine and helps wax last for longer! Restores more gloss than hand polishing. Using the latest dual-action polishers from Rupes, we can restore gloss by removing swirl marks and fine scratches and make your paint look like new! Our premium glass rain repellant will make your wipers less essential and above 50mph obsolete! Side & rear windows also benefit from ultra hydrophobic properties making visibility crystal clear even in a monsoon! Add more gloss and protection with our HD wax for the perfect finish. Adds a show stopping finish which resists dirt and water wash after wash!